Robert Mugabe, in a clear and unmitigated sign that he is too old and therefore, no longer fit for purpose, read the wrong speech in Parliament on Tuesday, September 15, 2015. During the official opening of the Third Session of the Eighth Parliament of Zimbabwe, Mugabe stunned all and sundry when he proceeded to deliver the same speech that he delivered during the State of the Nation Address (SONA), a few weeks ago! This clearly goes to show that Robert Mugabe no longer has the requisite mental faculties that are needed for him to continue in office as the Head of State. The MDC-T would like to call upon Robert Mugabe to immediately tender his resignation as the President of Zimbabwe. At the very advanced age of 91,it has been proved, beyond a shadow of doubt, that Mugabe is way past his prime in that he failed to recognise that he was delivering the wrong speech in Parliament today. This is a sure sign of senility and grossly failing mental and physical health on the part of Mugabe. It is in the best interests of the nation, therefore, that Robert Mugabe should not stay in office a day longer. The rigours of his Presidential duties have certainly taken a toll on him and he should proceed to do the honourable thing and step down from office as a matter of extreme urgency. Zimbabwe doesn’t deserve to be run by a nonagenarian President who, in fact, is long overdue for retirement. 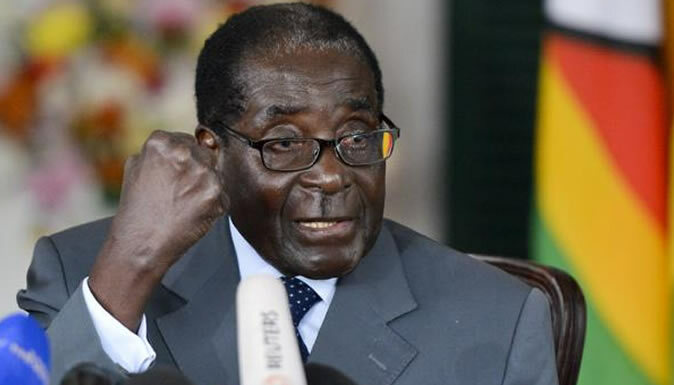 ‘Mugabe Urges Zims To Live Harmoniously And Respect The Sanctity Of Life’?? ?